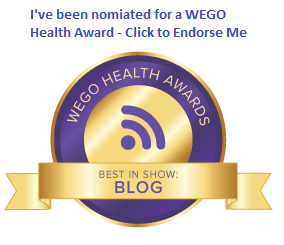 I went for my quarterly visit with my endocrinologist last week. We talked about a great many things. My A1c is still excellent, but she’s concerned about night time lows. We lowered my overnight basal rate, and that seems to have solved my problem for now. But I’ve been concerned about the amount of insulin I’m injecting these days. Along with the overnight lows, I’m seeing more numbers over 200 mg/dL than I’m used to. For the first time in the eight years I’ve been seeing her, we used the words “insulin resistance”. As in, I feel it’s taking a lot more insulin to bring me within range than it used to. I’m very concerned about that, especially because extra insulin not used means extra insulin stored as fat around my midsection. I have enough of that already. We talked about the fact that I’m active, but also in my mid-50s, which means my metabolism is crap. I eat less now than I probably have at any time as an adult, but I’m frustrated that I can’t seem to drop the weight in measurable numbers. For now, the plan is to let my endo manage my basal rates, and I will handle the boluses, possibly including dropping my insulin to carb ratio. The change in basals is keeping me from going low overnight. I haven’t lowered the I:C ratio yet, but I’m thinking about it. Those post-meal spikes are really bothering me. At the end of the visit, she asked if I was considering another pump to replace my Animas Vibe (Animas is out of business in the USA). I told her my general feelings about the various pump options out there today. 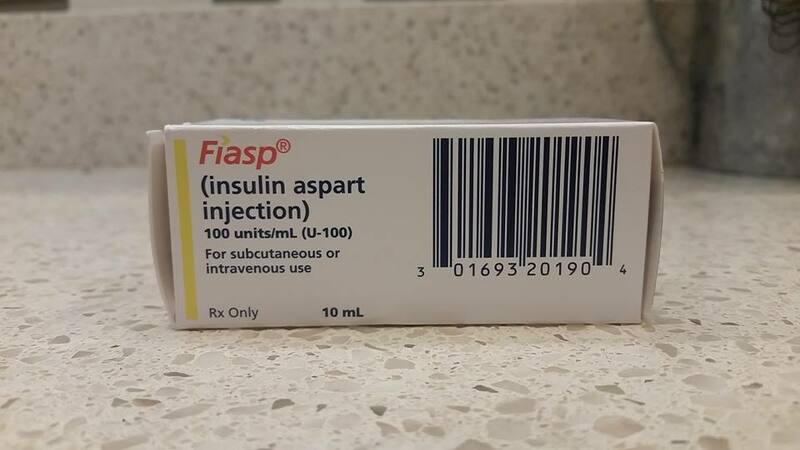 A sample vial of Novo Nordisk’s Fiasp, the faster-acting insulin we were talking about. I was under the impression that it could only be injected via a syringe. I don’t do that often, but I told her if I ever needed a correction bolus or my pump failed, I would give it a try. She encouraged me to try it with my pump. I took the sample home, and then took to Facebook to see if there was anyone else who had used Fiasp in a pump. If you ever want opinions, just ask what People With Diabetes think about a product, and you will get all kinds of responses. I certainly did. Some people love Fiasp. Some hate it. Some see it as very effective in their pump for a day or two, and then not effective at all after that. Some have no desire to try it at all. I was glad to get all of that feedback. In the end, the decision will be up to me to decide how I like this new insulin. For a little while though, it’s my turn to try it out in my insulin pump. More to come on this in a couple of weeks. Stephen, I hope the new insulin works out. I am anxious to hear how and if it works out.